*Sandcastle Stamper* : Mondays with The Project Bin - Fun is Good! Mondays with The Project Bin - Fun is Good! Today is just all around FUN! my kids were all in the Florida Keys celebrating. priming, taping, shampooed carpet, painting! We let him have carte blanche and he chose a vibrant 'yacht blue' by Behr. way too dark for his room but I stayed quiet ... and it looks marvelous! Lots. and. lots. of. coloring! make cards or set the colored images aside for when you are ready. and colored on the stamp! But through-out the month of March, I'm coloring! National Read Across America Day. I still adore celebrating Dr. Seuss and his fabulous books! And yes, FUN is good! always has the best sentiments with her stamp sets. you can find this one and many others in the shop! I hope you can stop back in and peek at the news! See - Mondays are FUN! FUN card Kelly! 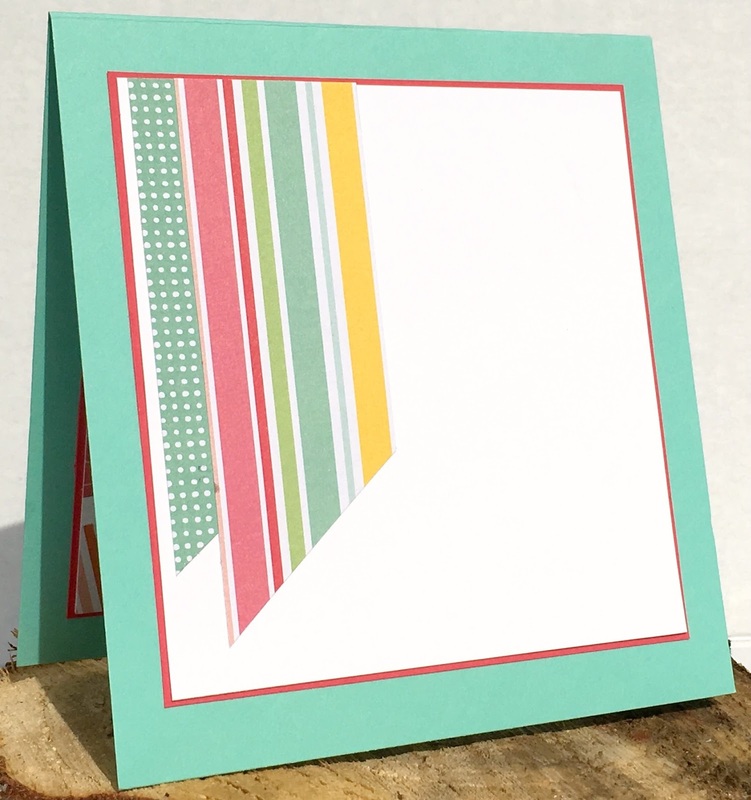 Love that design you used and the patterned paper. Great work with your markes for this beautiful sentiment! You have been very accurate! 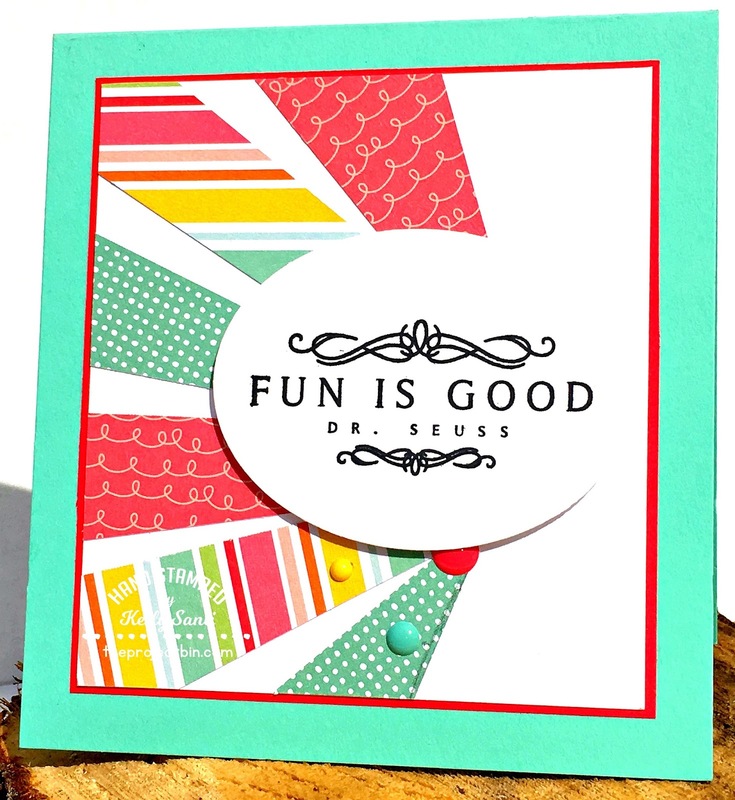 Fun card, so colourful, too! Dr Seuss isn't the only fun... this card is fun, too! I love it, Kelly! Tricky way to get that coloring challenge in! LOL Great card! Gorgeous card Kelly the colours really pop and I love your design..
Fun card Kelly. Love those big bold sentiments! Looking forward to the big news! I really like how you match the inside of the card. Love the papers and colors. 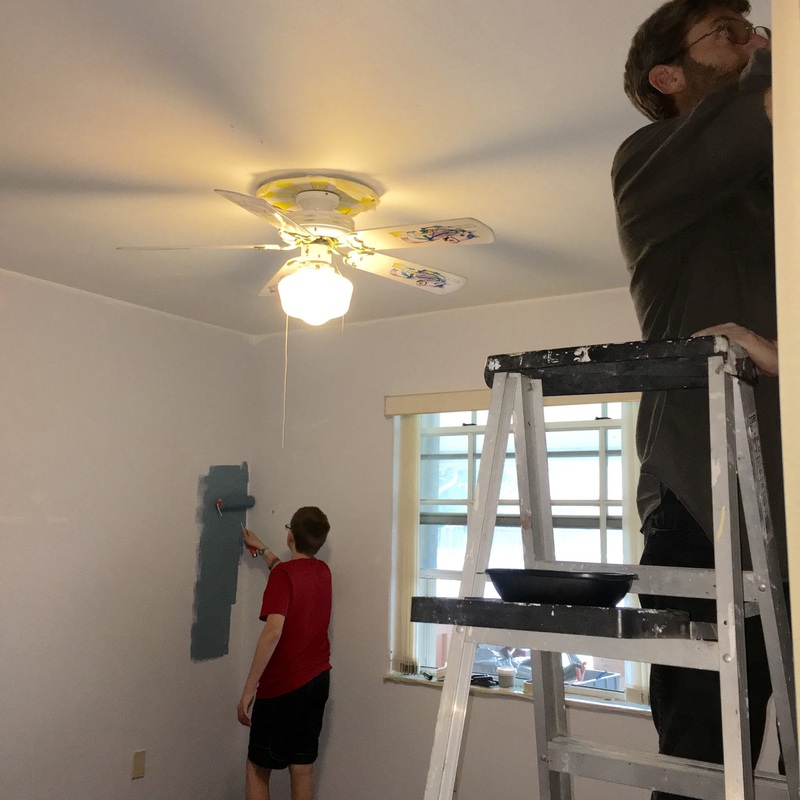 Was hoping to see the room all painted up! 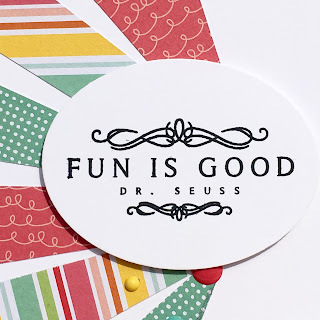 Fun is good! Especially when it is this bright and colorful!! Awesome card!! Can we see the finished room? I bet it is fabulous!! Well done to your Ben, for choosing and helping paint his room. As for you card, I love the bright paper and the sentiment, a fabulous card. D2BA: Kick back .... and relax! Mondays with The Project Bin ~ Jukebox! *Exciting news! * I'm a Guest Designer! Books are the best ! !